In costume Claire van Teiler was a vision from a medieval fantasy, an angel with a cloud of golden hair. 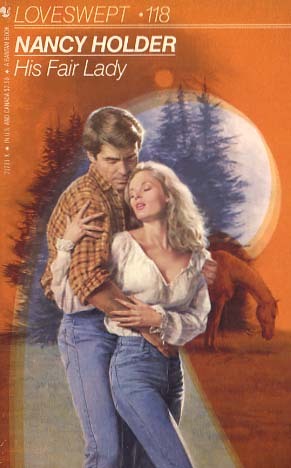 When Jack Youngblood spotted her chasing what couldn't be a unicorn through his sister's backyard, he knew with breathtaking certainty that this fairy princess was a lady to carry off on his horse in the moonlight, the woman he'd always wanted to share his life. But Claire had put her role as only parent to her younger sister ahead of her own desires, her secret dreams. What could she choose when the sensual magic Jack's caresses worked upon her heart left her torn between the two she loved best in the world?